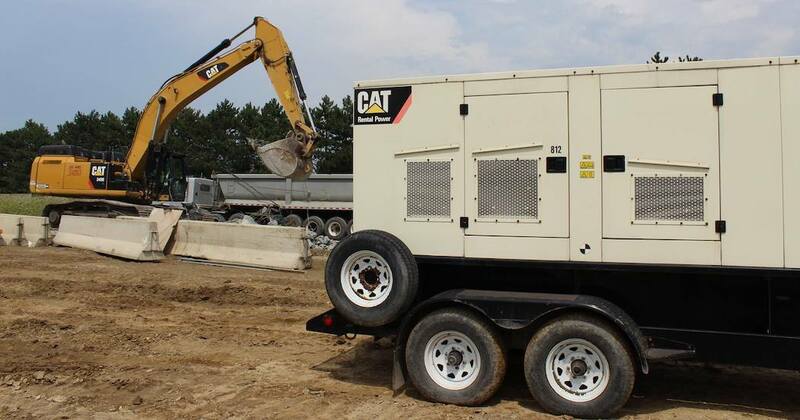 Running construction equipment, natural disaster recovery, power outages, outdoor events - all require a certain kilowattage of power and we at Zoetic Equipment Group, through our generator rental and sales programs, make it easy to find the right generator for your application. Whether you need a reliable, full time energy source or backup emergency solutions, our wide variety of transportable and stationary generators provide you with dependable power you can trust. We believe in creating honest and lasting relationships with our customers. We build these relationships by being committed to our customers and providing them with the best solutions for their generator sales and rental needs. Whether you are looking to purchase or rent a generator, our friendly, knowledgeable technicians will communicate with you to best recommend the right generator for your industry. We also work with our customers to make sure that they have the power they need when they need it. Through our 24-hour emergency hotline our generators and technicians are here for you. At Zoetic Equipment, we are committed to providing you with a reliable and cost-effective solution for your application. As a trusted partner, Zoetic Equipment will take care of all your equipment needs…Sales, Sourcing, Trading, Rentals!